Overall pleased with the service and attention with the doctor's staff. 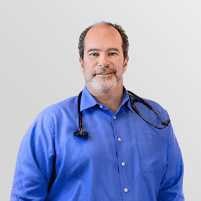 I am new to Dr Temkin ( 2 visits) however I can share that he is an excellent doctor that listens and takes the time to explain and address concerns. Dr Temkin always takes his time with me - never feel rushed or confused after a visit. He is great at replying to email and taking care of things in this manner, if possible. Office staff friendly and helpful! As so many others have stated, Dr. Temkin and his team provide wonderful primary care treatment. He is very knowledgeable and experienced, and also has great communication skills--he listens and takes whatever time is necessary to help you. We recently began his LeanMD weight-loss program. After 4 weeks of LeanMD, I can say it is an *amazing tool* for losing weight (20lbs/4 weeks) and more importantly, a life-changing opportunity to not only look and feel better, but to become educated about the impact your diet has on your quality of life. Dr Temkin spent extra time on really going over my blood work. He listened and offered good advice. Friendly and responsive to the problem on hand, tending to the detail and care..
Dr. Temkin has been my physician for years and is always caring, friendly, thorough and professional. Great doctor. Visited Dr. Temkin for a broken clavicle. As always he handled everything with his usual friendliness and in a very professional, competent way. Dr. T has been my physician for over 15 years. He and his Staff have always provided the highest level of care for my Family and I. He has earned our highest recommendation! Dr. Temkin has always made feel comfortable during an office visit. He is knowledgeable, but never makes you think your questions are silly or too routine. Dr Temkin is a great communicator, listens to you and provides appropriate feedback. He always makes me feel very comfortable, he has past visit and test results at his fingertips and provides great direction to live a healthy life. You couldn't ask for a better doctor. The lean md program is a very good weight reduction plan. The office is supportive, staff pleasant and diet effective. Dr. Temkin's office staff is very professional. First impressions are so important! Dr. Temkin listens to you carefully, he answers all of your questions, he is not afraid to order appropriate test, and he reassures you of what needs to be done. I am very pleased with his front desk staff, his nurse and of course him. I highly recommend the Lean MD program at Dr. Tempkin's office. The staff are always warm, welcoming and very supportive. It's a great program to help get you back on track and reach your goals! On time, listens, compassionate, solved the issue. Annual physical -- prompt, professional, friendly, answers questions completely, makes and explains recommendations. Completely satisfied over the many years Dr. Temkin has been my primary care physician. Blood work discussion. Flu shot. Excellent doctor to me for some 15 years!